WeSpace is not only a co-working physical space for women, is also an interdisciplinary, cross-sector community. We see the need of a co-working and community space designed by women where our members feel comfortable in a shared space, where we can offer services tailored to women and where they can meet and co-create. Together we imagine a working world where feminine values and sensibilities are an asset rather than a liability. We also believe in a community shaped by its members. This is why we designed WeSpace with a pilot phase prior to the opening of the permanent space. The pilot ran from April to June 2018 and aimed to gather feedback to iterate the concept. During this period, WeSpace was designed and shaped by its founding members (members during the pilot become WeSpace founding members). Our mission is to provide a physical space for individuals, pre-existing communities and newly shaped initiatives, to facilitate the leadership journey of more women across a variety of sectors within corporations, institutions, and entrepreneurial ventures. We aim to provide an dynamic space to work, socialize and network as well as a community that empowers women. 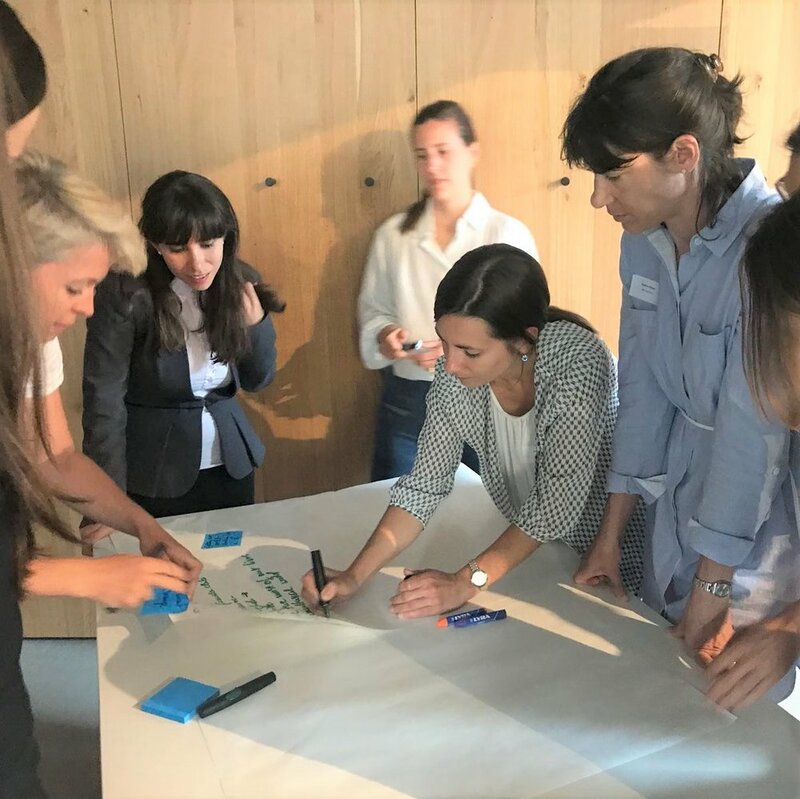 For our End of Pilot event we wanted to give back to the women communities and representatives that had been supporting us during the pilot phase. Therefore, we designed the first cross-women-communities event, where representatives can meet each other, communicate and start collaborations. To be able to meet this goal, we approach Nora from Collaboratio Helvetica to help us create the most suitable framework for ecosystem awareness. The event was a great success. We gather 12 different communities and 25 representatives. The session started with a great icebreaker game followed by a fruitful and inspiring introduction by Nora. The workshops afterwards enable iterations and sharing session between our guests. By the end, representatives benefited from a sharing experience and the kick-off of a long-lasting collaboration. The second cross-women-communities event will happen on 15th of August at WeSpace permanent space. the We are open to more and more women communities that want to be part of this big family. The bigger the better :) . A part form women communities, can I be part of the WeSpace community? Of course! We want to encourage women from all sectors and backgrounds who are willing to engage with the community bringing their energy and ready to co-work. Women who want flexible working environments, whether or not they have full-time desk or just want to be surrounded and inspired by other women who are willing to disrupt the existing system. We want to gather not only women that need a space to work but also those who want to connect with women from different disciplines and sectors. Therefore, we offer two types of membership: the community membership and the co-working membership. Estefania Tapias is the Founder and CEO of WeSpace, a co-working and community space for women. Estefania is also a researcher and project coordinator at ETH Zurich, focused on Future Cities. Estefania is an honoree of the Forbes 30 under 30 Europe list of 2018, WEF Global Shaper, Founding President of the European Institute of Innovation and technology (EIT) Alumni, Former President of the Climate-KIC Alumni Association and speaker. Estefania has been invited as speaker in different international events such as the World Web Forum, the Sustainable Innovation Forum, and the European Forum of Young Innovators – EURODOC. Estefania is committed to build up initiatives and communities that support and shape the sustainable future of societies and cities.